Lockheed Martin’s INFIRNO Sensor Makes First Flight on the Black Hawk Helicopter. Lockheed Martin’s INFIRNO™ sensor system recently completed its first flight on an H-60 Black Hawk helicopter. This successful Lockheed Martin-funded test validated INFIRNO’s ability to detect, identify and track targets from an airborne platform. 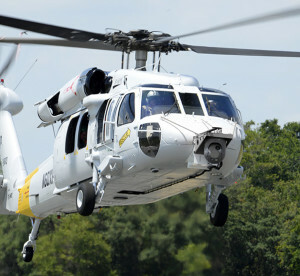 The INFIRNO sensor, which was successfully integrated on the nose of the Black Hawk, met test objectives that verified line-of-sight stability and image quality. 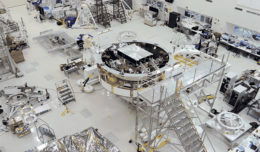 The system completed more than eight flight test hours. Developed through Lockheed Martin investment, INFIRNO’s 15-inch turret features high-definition mid-wave infrared and color sensors, advanced image processing, multi-mode tracker, laser designator/rangefinder and geo-location capabilities. INFIRNO enables users to deploy laser-guided munitions and conduct long-range intelligence, surveillance and reconnaissance missions. INFIRNO can also be integrated onto ground and maritime platforms. INFIRNO’s modular components can be maintained or upgraded without removing the turret from the aircraft. This design reduces the need to replace entire systems and lowers overall lifecycle cost.